Dicranopteris linearis is a fern that accumulates unusually high concentrations (up to 0.3% dry weight) of rare earth elements (REEs) in China. Previously, we reported that D. linearis accumulates high concentrations of aluminium (Al) and silicon (Si) in the fronds, but the interactions between these elements and REEs were unknown. 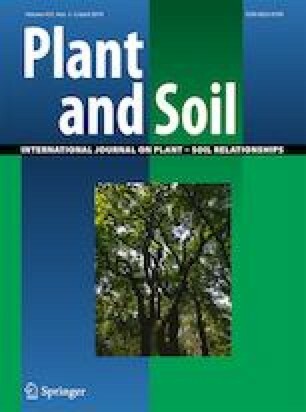 In this study, a range of analytical techniques, including chemical extractions, Scanning-Electron Microscopy with Energy-Dispersive Spectroscopy (SEM-EDS) and Laser Ablation Inductively Coupled Plasma Mass Spectrometry (LA-ICP-MS) were used to study the association of REEs with Al and Si. The results show that D. linearis accumulates high concentrations of REEs (up to 3830 mg kg−1), Al (up to 9660 mg kg−1) and Si (up to 20,300 mg kg−1), with concentrations increasing with age and frond order of pinna. The extraction patterns suggest the existence of REEs-Si and Al-Si complexes. The SEM-EDS analysis confirmed the existence of phytoliths (Al) deposits in the protoplast and apoplast of the pinna cells. The upper epidermis of the pinnule and the pericycle of the midvein are more concentrated in phytoliths (Al) particles. The LA-ICP-MS analysis revealed that REEs and Al are preferentially compartmentalized within bio-inactive tissues of the pinnules, e.g. necrotic tissues (REEs) and in the margins (Al). Co-deposition of Si with REEs and Al may be a mechanism for dealing with the high concentrations of REEs and Al in D. linearis fronds. The online version of this article ( https://doi.org/10.1007/s11104-019-04005-0) contains supplementary material, which is available to authorized users. The “International Joint Lab - ECOLAND” is acknowledged for supporting this work. A. van der Ent is the recipient of a Discovery Early Career Researcher Award [Grant No. DE160100429] from the Australian Research Council. We thank Chi, Q. Q., engineer of the LA-ICP-MS at Institute of Urban Environment, Chinese Academy of Sciences, Xiamen. This work was supported by the National Natural Science Foundation of China (NSFC) [Grant No. 41771343]; Science and Technology Planning Project of Guangdong Province [Grant No. 2016A020221013], and the 111 project [Grant No. B18060].